Domenick Abbate lost the $1 million grand prize on Survivor: Ghost Island to his best friend in the game, Wendell Holland. Domenick, a 38-year-old construction supervisor from Nesconset, NY, finished as the runner-up after losing by a single jury vote. To rub salt in Dom's wounds, the one vote that put Wendell over the edge was actually a tie-breaker vote cast by the season's third-place finisher, Laurel Johnson, whom he had also been in a tight alliance with. The initial tie jury vote was the first time Survivor has seen this happen in 36 seasons. In addition to Laurel, Wendell received jury votes from Chelsea Townsend, Sebastian Noel, Donathan Hurley, Kellyn Bechtold, and Angela Perkins. As for Domenick, he earned votes from Michael Yerger, Chris Noble, Libby Vincek, Jenna Bowman, and Desiree Afuye. (Laurel received zero votes). During a recent exclusive interview with Reality TV World, Domenick talked about his Survivor: Ghost Island experience and heart-wrenching loss. Below is the concluding portion of what he had to say. Reality TV World: You seemed to think Laurel was a bigger threat than Donathan and Angela, so could you clarify why did ultimately decided to take her to the Final 3? Domenick Abbate: I saw the frustration in the people as we went from vote after vote after vote, where Laurel never jumped in anyone's gameplan to take out me or Wendell. And as I saw their frustration, I realized every time she wouldn't take that risk to come after us, she was losing the respect of the jury. So, it makes sense to me to bring someone who has no respect from the jury to the Final 3, because she's just one element I don't have to think about and I can just really focus on one other person now, you know what I mean? And as far as Donathan, maybe some people would have looked at him as a really good story, that he's this guy from eastern Kentucky, he's faced adversity his whole life, and now he's out here playing Survivor, like, "Let's give him a vote. The guy needs the money," maybe, who knows! Laurel just seemed like the best route to take, and I think Wendell could agree. Reality TV World: Laurel did everything she could to argue she did not ride your coattails to the end, nor did Wendell carry her there. Would you say she hasn't received enough credit for her gameplay? Domenick Abbate: Well, I will say this about Laurel: It's not like she played a bad game. It's not like -- you know, her story in this game was this moment where she was constantly facing decisions she had to make of, "What happens if I take out one of the biggest strategic threats? What is the repercussion of that?" Sure, "It's great if I do it," but what's next for her? In other words, she was constantly considering what would be the repurcussion of it, and in her mind, the answer always came back to, "Sure, I can take these guys out, but then I'm on the bottom of what's left over." If there's seven or eight people in the game and Dom and Wendell go home, great, there's five or six people left in the game. But Laurel always felt like she would be on the bottom. So she always felt it didn't make sense to her to be on the bottom of a Five. She'd rather be on the bottom of a Three. And even though she was losing respect from the jury, she still felt there was a better path for her to win this game by going with us. And I know... [on] television it's frustrating to the viewer and this and that, but it really was her best course of action to do what she did. Reality TV World: Sebastian's anger over your behavior at the Tribal Council when he went home surprised me. Sure, you flashed a couple of idols in people's faces, but that happens all the time on Survivor. (Laughs) Could you explain why he was so bitter and mad at you? Since he was targeting you to begin with, some fans thought Sebastian was being a little hypocritical. So, I realized it hurts your feelings because we were friends out there, but I had to defend myself, and I know it was aggressive in the moment, but that's not what I was trying to do. Ultimately, I was just trying to change your mind and I was very effective at that. Can you see and understand what I was trying to do?" And his response to that was, "Yeah, I get it, but I don't like it." You know? So, I was really frustrated by that response that he gave me. Because I was really hoping I was able to articulate to him what I was trying to do and that he'd come around and say, "Dom, you know what, man? It sucked but I understand at least, and I can respect what you did." And like I said, I think if he had another two or three days out of the game, he might have been able to absorb that better, but he really wasn't out for that long. So I think it was still biting him. Reality TV World: When you played your fake idol at that same Tribal, were you surprised the people left in the game believed it was real? Because even some of the jury members, like Michael Yerger for example, pointed out it was probably fake. Domenick Abbate: Yeah, and that's why Michael wasn't in the game still. That explains why Michael, I had to get rid of, and I kept the people that were there. Because the people that were still in the game, I could sell a story like that to. But if Michael Yerger was still playing the game, or Chris Noble or [Kellyn Bechtold], I'm not getting away with that story, which is why the story was sold in such an aggressive way. It was not only to make sure that Sebastian will change his mind and not use his advantage against me, but it was also to sell the story to the other players in the game so they wouldn't ask [Jeff Probst] to validate the relic. You know what I mean? So I wasn't just trying to sell Sebastian a story. I was trying to sell the whole group a story so that no one says, "Jeff, I'm sorry, but could you verify that the idol is real or not?" And that's why I was very aggressive, assertive, brash and harsh -- so that I would be effective in what I was trying to do. But in the process, I hurt people's feelings, and that is the balance you need to find in this game, by being effective in a move while also keeping the jury members at bay and not upsetting them. Reality TV World: Did it bother you when Wendell called himself the "mastermind" of your alliance? And what are your thoughts on Kellyn's claim when she voted for Wendell to win that you were the brawn in your alliance but Wendell was the strategist and brains of the operation? Domenick Abbate: Yeah, it was hysterical when Wendell said that; you saw me laughing at him. (Laughs) It was funny, and Kellyn verifying it just made the whole thing even more ridiculous. Because Kellyn had it out for me, she just did not like me out there. I'm not sure why we didn't mesh, but for whatever reason it was, we just didn't see eye to eye on things, and she really felt I was playing a bullying type of game. She thought I was really aggressive and setting my soldiers up and saying, "If you don't do it my way, I'm cutting you loose." And none of that happened -- ever. I always listened to people and said, "What are your thoughts? What do you want to do?" I think they showed that several times in the game, where I'm asking people for suggestions. And she just had it in her head I was a dictator and I was calling all the shots, like, "If you don't do it my way, you're dead to me." I'm not sure what triggered her to feel that way about me. I'm not sure if I reminded her of someone from her past life. I don't know, but whatever it was, I could not get Kellyn onboard with me. So when she started validating Wendell's claim I was just Wendell's sidekick, it was a hysterical moment. Because I had multiple conversations with Kellyn where we talked strategy for hours! Reality TV World: You happened to pick the voting urn that represented Woo Hwang and Tony Vlachos' relationship from Survivor: Cagayan. Do you believe that decision played a slight role in your loss, depending on your belief in Survivor curses and superstitions? I think it's fun, the whole theme was fun. And I think it's really cool how the majority of the relics brought back into the game actually stayed cursed. But I'm not going to sit here and tell you an urn that I chose is why I went home without the check, (laughs) you know what I mean?... But it was fun for me, and I'm sure Survivor fans appreciated the theme and idea of what Survivor was trying to do. Reality TV World: You told Jeff you knew you had lost the game about three seconds after he announced Laurel needed to cast the deciding, tie-breaker vote. Why were you so certain though? Because Wendell seemed to think you also had a tremendous relationship with Laurel out there. Domenick Abbate: I absolutely did have a tremendous relationship with Laurel. Laurel and I -- they didn't show it, but some people slept in the shelter and some people slept by the fire. I was one of the fire sleepers. It was important to me I was close to the heat, and Laurel was down there with me. So we had many conversations at night and we would tell jokes and talk about life, and Wendell was not there. Wendell was always in the shelter, so I had a bond with Laurel that was one between her and I, you know what I mean? Her and I had this thing. And the three of us had our own bond, and then her and Wendell had their own bond. And what I observed out there was that Laurel and I were the closest of friends out there, for sure, okay? But Laurel and Wendell were brother and sister. That was the clear thing I noticed. I'm not sure if it was the fact they're both from Philly; they definitely bonded on that a lot. But I can tell you it was an invisible thing that you can't put a word or a point on it. But you did know when you saw those two walking and talking together, it seemed like family members, whereas when Laurel and I did it, it was a really good friendship. Reality TV World: Well, I'm sorry things didn't work out better for you. Maybe Survivor fans will get to watch you play again in the future. Domenick Abbate: I hope so! 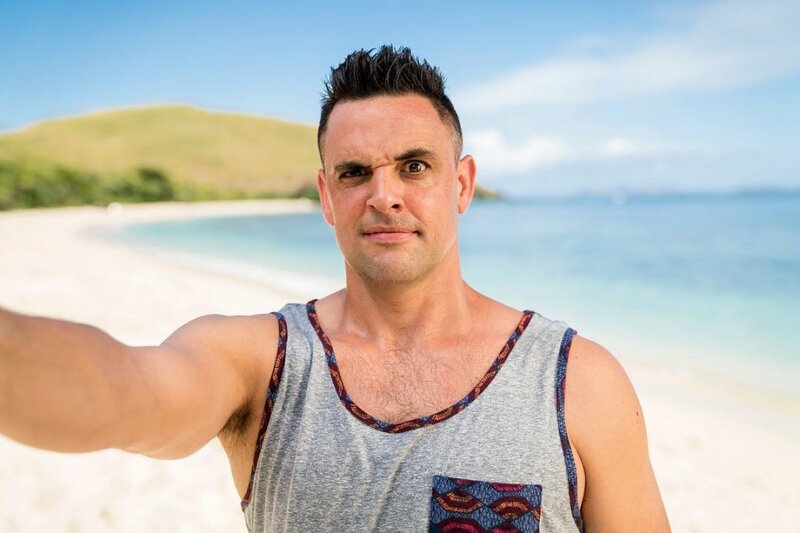 To read the first half of Domenick's interview, click here. And to check out Reality TV World's other exclusive Survivor: Ghost Island interviews with the Final 6 castaways, click here.